Ben Thapa studied at the Guildhall School of Music and the Royal College of Music before graduating from the Wales International Academy of Voice in 2013 under the tutelage of Dennis O'Neill. Ben's major bursaries include the Musicians Benevolent Fund, the Leverhulme Trust and the Wagner Society. Ben has participated in a number of masterclasses, including Kiri Te Kanawa, Della Jones, Amanda Roocroft, Jonathan Dove (for Music Theatre Wales) and Graham Clark. In addition, Ben was twice a Britten-Pears scholar. Ben continues his study privately with David Pollard. Operatic credits include: President (Mittwoch aus Licht, Birmingham Opera/BBC Proms), Kuzka (Kovanschina, Birmingham Opera Company), Tito (La Clemenza di Tito, Teatru Manoel, Malta), Tamino (Magic Flute, Regents Opera, Ryedale Festival, Garsington Emerging Artists), Melot (Tristan und Isolde, Longborough Festival Opera), Vanya Kudrjash (Katya Kabanova, Scottish Opera), Cavaradossi (Tosca​, Minack Theatre), Don José (Carmen, Minack Theatre), First Armed Man (Magic Flute, Garsington Opera) and Mat of the Mint (Beggar's Opera, Royal Opera), and recently the role of Siegfried in The Quest for the Ring: scenes from Siegfried and Götterdämmerung at the Royal Festival Hall in association with Opera North. Roles understudied include Actaeon (Diana and Actaeon, Royal Opera), Max (Der Freischütz, Opera Comique, Paris), Florestan (Fidelio, Garsington Opera), Tamino (Magic Flute, Garsington Opera), Kunz Vogelgesang (Mastersingers of Nuremberg, English National Opera) and the tenor roles in Philip Glass' The Trial for Music Theatre Wales at the Royal Opera and on tour. Concert performances include a concert tour of Monteverdi Vespers with John Eliot Gardiner and the Monteverdi Choir, Handel Messiah (Royal Albert Hall, Hanover Band, Manchester Camerata, St. Martin-in-the-Fields, St. John's Smith Square), Mozart C Minor Mass (St. John's Smith Square, London Mozart Players), Elgar Dream of Gerontius (Tewkesbury Cathedral, Burford Singers/Brian Kay), Rossini Petite Messe Solennelle (Colston Hall, Jesus College Cambridge, Cadogan Hall), Verdi Requiem (Tewkesbury Abbey, St. Martin-in-the-Fields, Saffron Hall, London Guildhall, G-Live Guildford), Haydn The Creation (RAH), Mozart Requiem (RAH, SMITF, King's College Cambridge, Queen Elizabeth Hall), Rachmaninov The Bells (King's Cambridge), Beethoven 9th Symphony (St. David's Hall Cardiff), Mendelssohn Elijah (G-Live), Vaughan Williams Serenade to Music (Royal Festival Hall), Beethoven Missa Solemnis (Leeds Town Hall), Britten War Requiem (Gresham's, Chester Cathedral) and St Nicolas (Wakefield Cathedral), and a Leeds Town Hall recital with Dr. Simon Lindley. Current and future plans include a recital including Britten's Seven Sonnets of Michelangelo in Norway, Mozart C Minor Mass at Colston Hall, Bristol and the role of Aufidio Lucio Silla for Buxton Festival Opera. 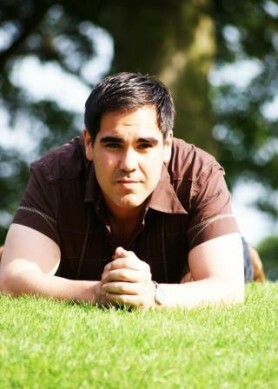 Ben Thapa is represented for opera by Steven Swales and non-exclusively for concert work by Davies Music.